Dennis has worked in the field of user research since 1981. He was a usability manager at Digital Equipment Corporation, where methods such as Usability Engineering, Contextual Inquiry, and data logging were developed. For the past 14 years he has managed research teams at Microsoft, which have covered a wide spectrum of products, including: the Games User Research team. Together they developed many research methods including: RITE (Rapid Iterative Testing and Evaluation) and TRUE (Tracking Real-time User Experience). RITE has become an industry-wide practice and TRUE has been successfully applied to many Microsoft products. Dennis has also been an active member of the CHI community for many years. He was one of the founding members of the Greater Boston Chapter of the Computer Human Interaction Special Interest Group of the ACM. Dennis has served in a number of roles in the society including Conference Co-chair for the 2002 conference. He was elected Vice President for Conferences in 2004. He partnered with the conference chairs, the executive committee, and the conference management committee, to introduce a wide range of innovations to the CHI conference. 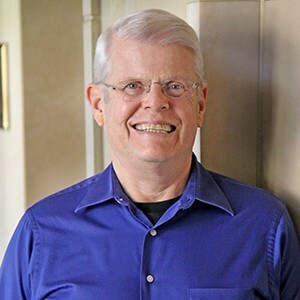 Dennis has co-authored over 50 articles, book chapters and talks on HCI. He has also coauthored of two books: Field Methods Casebook for Software Design (with Dr. Judy Ramey) and Brave NUI World (with Dr. Daniel Wigdor). He currently serves as an adjunct full professor at University of Washington in the department of Human Centered Design and Engineering Design. Dennis holds a Ph.D. in experimental social psychology from Clark University.